172 New Jeep Wrangler JK SUVs for Sale by Overland Park, KS | Olathe " "
If you are looking to buy a capable off-roading SUV in the Gardner or Springhill region, you’ll want the new Jeep Wrangler JK. Fortunately, Olathe Dodge Chrysler Jeep Ram has 172 new Jeep Wrangler JK SUVs for sale. With Hill Start Assist, Electronic Roll Mitigation, and Electronic Stability Control, the new Jeep Wrangler JK will enhance any off-roading adventure. And, with its classic Jeep look, you’ll spin heads on your way to your favorite Kansas City farmers market. Explore our 172 new Jeep Wrangler JKs for sale, and when you’re ready, apply for financing online. Why Choose Olathe Dodge Chrysler Jeep Ram? There are plenty of reasons why Overland Park and Lenexa drivers choose Olathe Dodge Chrysler Jeep Ram for their next new vehicle purchase. For one, we have a vast inventory of new Dodge, Chrysler, Jeep, and Ram vehicles. Second, we’re your go-to research resource for all things Dodge Chrysler Jeep Ram brand-related. Third, of course, is our state-of-the-art service center, whose employees will fix your serpentine belt or complete an oil change in a matter of minutes. 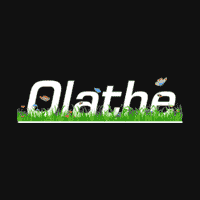 However, the main reason as to why Olathe drivers come to our dealership – and return – is that we are dedicated to the community. From sponsoring the Kansas Special Olympics to helping local athletic events, Olathe Dodge Chrysler Jeep Ram is here to serve you, the customer. So, stay with us. Compare vehicles online, or explore one of our new Jeep Wrangler JK vehicles for sale. When you’re ready to schedule a test drive, feel free to contact us online. Looking to make your next purchase cheaper? Trade in your vehicle.